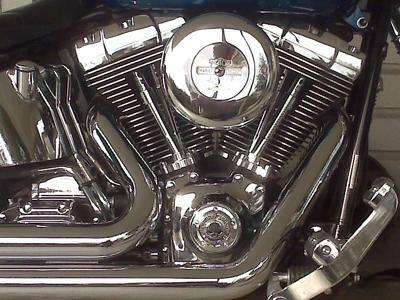 HD 2006 FXSTS: 1.25 in bars, PYTHON PIPES 2 INTO 2. H-D 80 SPOKE FRONT RIM. CHROME INNER PRIMARY. SKULLS EVERYWHERE.